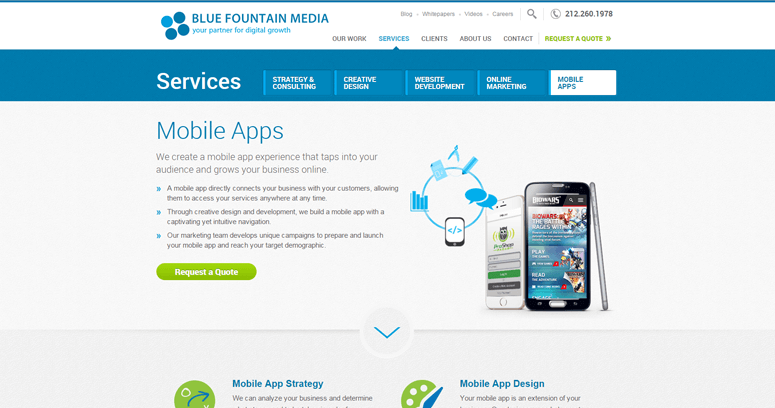 Blue Fountain Media is the digital marketing agency that you want to partner up with if you want to see your business grow. They offer a wide range of services that are designed to bring attention to your brand and help you sell your products. 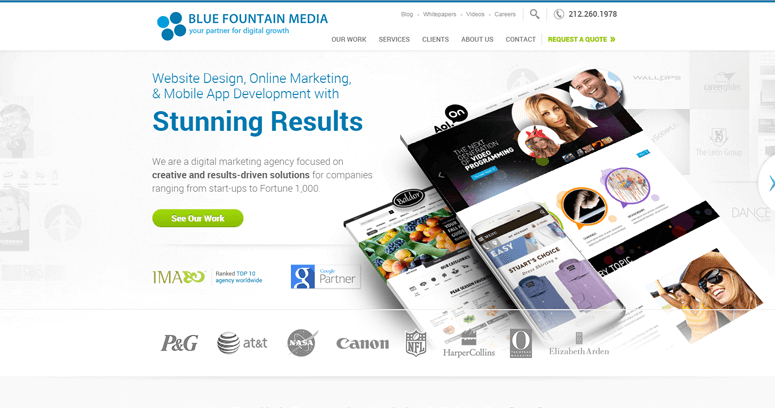 Rather than focusing only one one aspect of digital marketing, Blue Fountain Media offers you comprehensive solutions that can be used together to help you reach your goals much faster. 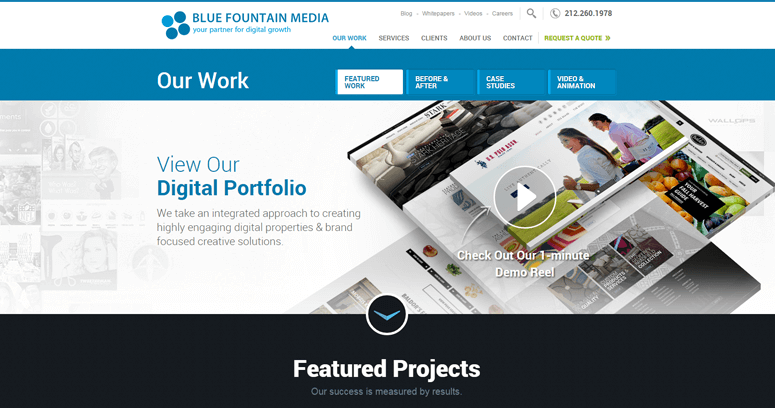 Their creative team can put together websites that meet your exact specifications, as well as design videos, print advertisements and create a new logo for your brand. Their marketing division is able to use the latest in technology to get your message across, through channels such as social media marketing, display advertising, online video marketing, email marketing, search engine optimization and pay-per-click advertising. With their services, you will have everything that you need to succeed.